Research by Volkswagen shows that 53% of van drivers don't know their vehicle's maximum capacity, particularly when towing. Police, in particular Surrey Roads Traffic Police, are stopping increasing numbers of drivers and impounding their vehicles for being overloaded. Over 2015, the DVSA stopped over 10,800 vans on UK roads and found 89 per cent to be driving overloaded. While trailers offer an easy and cost effective means to of carrying extra loads, drivers need to know their vehicle's gross capacity, their own entitlement to drive and the point at which they need to fit a Tachograph to record their journeys. On a UK full car licence, anyone can drive up to 3.5 tonnes Gross Vehicle Weight (GVW). However when adding a trailer, the laws become more complicated, with restrictions on a permissible vehicle and trailer weights for those who obtained their driving licence after 1997. 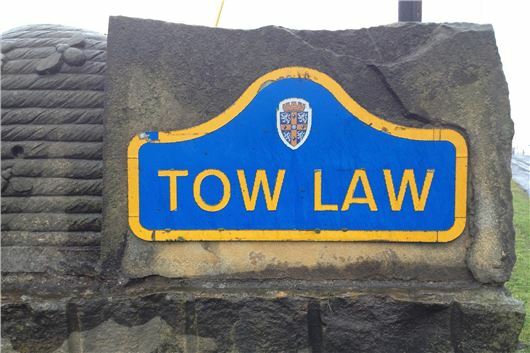 If you passed your car driving test (category B) from 19 January 2013, you can tow small trailers weighing no more than 750kg or trailer over 750kg as long as the combined weight of the trailer and towing car or van is no more than 3,500kg (3.5 tonnes) maximum authorised mass (MAM) MAM is the limit on how much the vehicle can weigh when it’s loaded. If you passed your car driving test between 1 January 1997 and 18 January 2013, you can drive a car or van up to 3,500kg MAM towing a trailer of up to 750kg MAM or tow a trailer over 750kg MAM as long as the combined MAM of the trailer and towing vehicle is no more than 3,500kg You have to pass the car and trailer driving test if you want to tow anything heavier. Going above the permitted weights (without the right licence) or withoutb a tachograph being fitted can lead to large fines for drivers and for businesses. In Surrey, immobilisation of vehicles found to be overloaded is routine. To find your nearest Van Centre or details of Volkswagen Commercial Vehicles’ range of towbars and accessories, visit www.volkswagen-vans.co.uk.